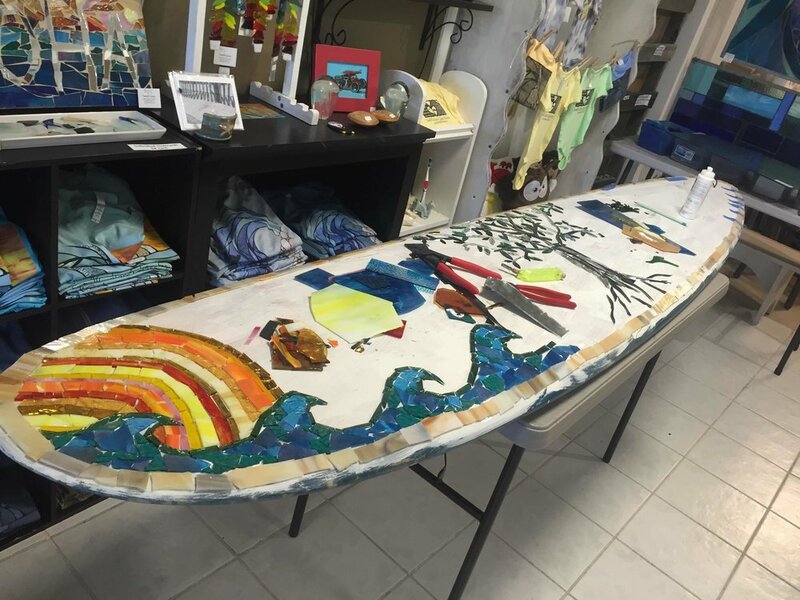 The mosaic surfboards made by artist Mary Tantillo are truly impressive when seen in person. There is an extraordinary amount of care and detail that goes into each design. When you look at the finished piece, sometimes it's easy to forget just how much work goes into every work of art made here at SwellColors. 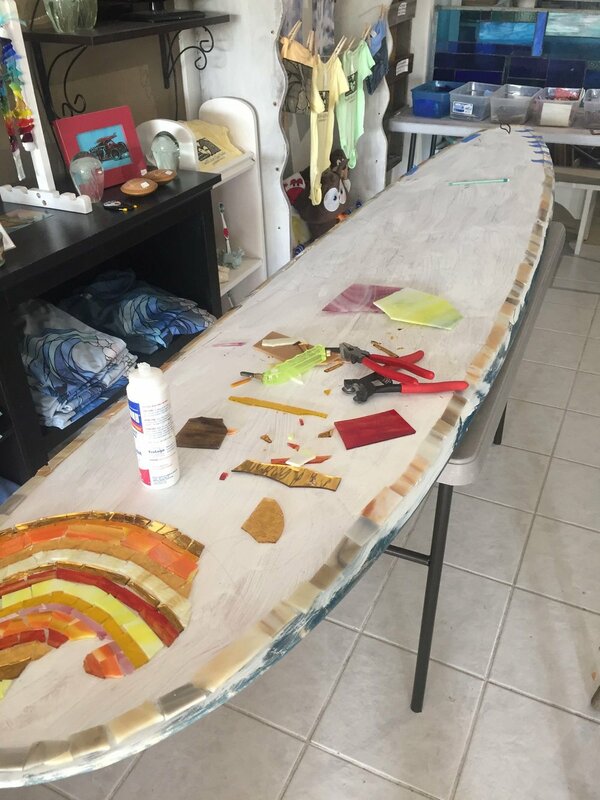 Take a look below to get a peak inside the long process of building a one of a kind glass mosaic surfboard: A Tree of Life. Every single piece of glass in this mosaic is hand-cut and glued onto the painted surface of the surfboard. As the piece is worked on, the design evolves and changes. Colors are compared and decided. 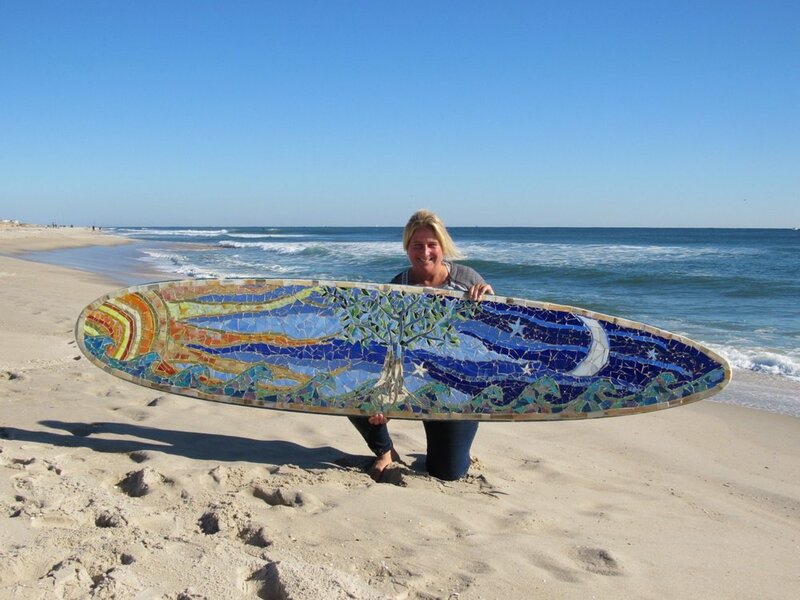 This one of a kind, glass mosaic surfboard, made right in our studio on Long Beach Island, NJ, is available for purchase- and we can custom install! You can also order your own custom surf art from SwellColors year-round.